A favorite dessert during the holidays. Fat free! Keep whipping until soft peaks form. Carefully fold flour into the egg whites. You want to do this carefully. 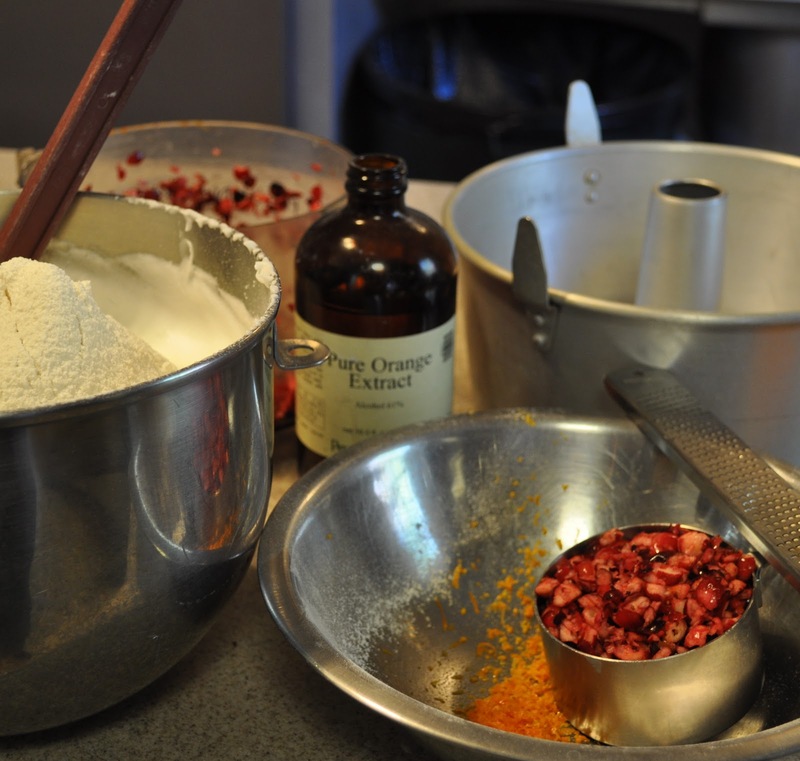 Towards the end add the vanilla and orange extracts, orange zest, and chopped cranberries folding until the berries are evenly distributed. Don’t over do it. Bake for 30 to 35 minutes until light brown on top. Cool the cake in the pan by putting it upside down on your counter if your pan has “feet” if not put it upside down around the neck of a bottle until it cools to room temperature. 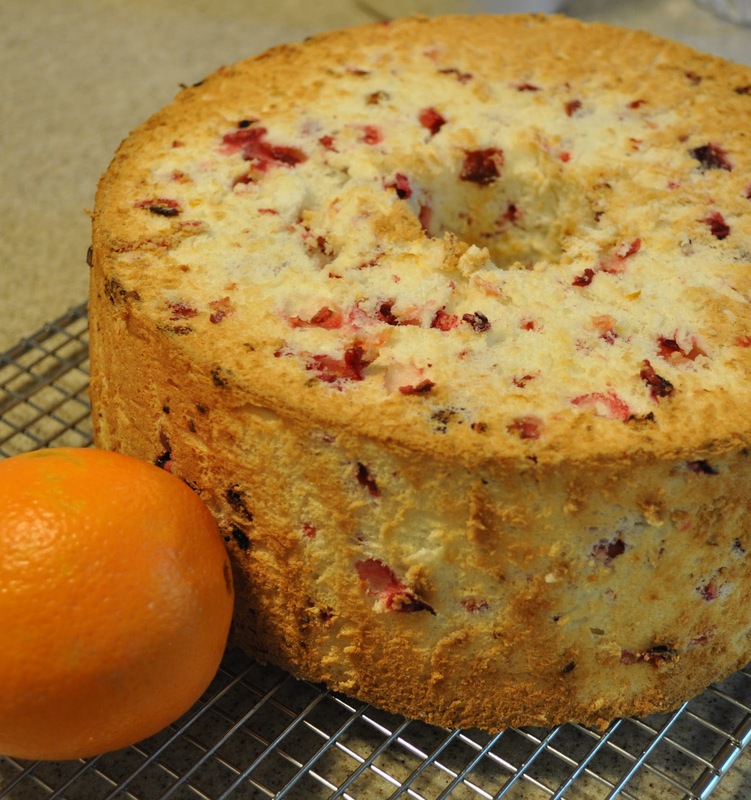 This angel food cake is the best I have ever eaten!!! When I spotted the eight broads in the kitchen bookmark on the front table at the inn, I was praying that this recipe would be here. Can't wait to try and make it. If It turns out half as well I will be happy!